When you smoke cannabis in a bong or a joint, it is possible that up to 90% of the smoke produced contains tar and other carcinogens. This is obviously not ideal, especially for those using cannabis for its medicinal benefits. When you use a dry herb vaporizer, only the yummy terpenes and cannabinoids are evaporated leaving all the unhealthy plant matter behind. Further to being healthier, vaporizers are typically more cost efficient too. When you smoke you are literally setting your precious herbs on fire and up to 70% is burnt away before you can inhale it. When vaping, less than 25% of cannabinoids are lost which of course means you get a lot more bang for your buck! As a result, in the Dry Herb Vaporizers are becoming increasingly popular as consumers become more aware of the health benefits when compared to smoking. However, there are so many models and different types of vaporizers it can make choosing your first vape very difficult. To make this process a little bit easier for you we thought it wise to detail some questions you should be asking yourself. #1 Should I choose a convection or conduction vaporizer? A vaporizer is typically designed to heat your herbs either via conduction or convection and both these methods have their pros and cons. In a conduction vaporizer, your herbs are heated when they come into contact with the heating element inside your vaporizer’s oven. This has the advantage of producing vapour from your herbs almost instantly. However, a major disadvantage is that the herbs most distant from the heating element may not vaporize at all. Also, those closest are at risk of combustion. Convection vapes, work by creating an atmosphere of hot air. Just like your kitchen oven, a convection vaporizer is able to expose all your herbs to a similar temperature at the same time. This helps ensure that none of the cannabinoids or terpenes in your herbs go to waste. Convection vaporizers do also have their disadvantages too though; they are more expensive and can take quite a while to heat up. #2. What is my vaporizer made out of? Vaporizers are made out of a wide variety of materials including, metals, plastics, glass and even wood. The parts you should take particular interest in when choosing vaporizer are the oven, air paths and mouthpiece. An oven’s material, quality and size make a big difference to the quality of vapor that is produced. An average sized oven is 0.2 grams. There are also portable vaporizers that hold up to 0.75 grams at any one time which is considered quite high. Size is important because ovens typically produce the best quality vapor when between 80-90% full. You should consider how much cannabis you typically consume at each time and perhaps assess how often you’ll be vaping alone rather than with friends. Ceramic – Ceramic is possibly the most popular type of oven. Ceramic is inert it and has a major advantage of having no effect on the flavor of your cannabis. However, you should consider that ceramic is difficult to clean and of course quite fragile. Stainless steel – Stainless steel ovens are becoming increasingly popular as the oven material of choice in quality vaporizers. You can expect steel ovens to add a substantial amount to the weight (and price!) of your vape. Glass – If you’re lucky enough to have tried a vaporizer with a glass oven you’ll know that glass provides the best experience. However, if you’ve owned one for any period of time you’ll also know they are prone to break with the slightest knock. Your vaporizer will constantly be exposed to heat and water vapour. Over time this will cause your vaporizer to degrade so you will want to make sure that the air paths are well made and can withstand these elements. Similar to ovens, glass air paths hold the reputation for delivering the thickest, tastiest clouds because glass is the best conductor of steam. It is important to avoid any air paths that contain plastic, rubber or glues – not only will these provide poor taste but they can also be dangerous for your health too as inhaling heating plastic is poisonous. #3 Will anyone be able to tell what I’m vaping? The bad news: Contrary to popular myths, vaping weed does unfortunately still emit a smell. The Good News: Vaping produces far less smell when compared to smoking. Any aromas produced, dissipate far quicker too. When cannabis combusts, plant matter, as well as its cannabinoids, are released into the air in the form of smoke; it is this causes its distinctive smell. When using a vaporizer, only cannabinoids and terpenes are released into the air so there are a lot fewer compounds floating around the atmosphere producing a smell. So may not be able to hide your vaping form your roommate but it would be fair to say your nosey neighbors should not be able to smell what you’re vaping! #4 What temperature should I vape at? Experimenting with different temperatures and their effects is one of the most enjoyable advantages of using a dry herb vaporizer. Contrary to popular belief there is more to cannabis than THC and CBD. These two compounds may get the most attention but there have been over 100 individual cannabinoids and terpenes identified in the cannabis plant. Each of these cannabinoids has a different effect on the human body. Cannabinoid and terpenes all have different boiling points. Myrcene, for example, evaporates at 166°C and helps your body to better absorb THC. Another example is Linalool. This evaporates at 199°C and is popular for aiding sleep. Though it can be dependent on the particular strain you’re vaping, temperatures below 180°C produce a cerebral high and can be quite energetic. As you reach higher temperatures, the high produced is focused in the body and you are liable to not want to move very much! Avoid vaping at temperatures over 220°C because combustion can occur. #5 Can I expect an experience similar to smoking? Quite often, a vape virgin will excitedly take their brand new vaporizer out of the box and turn it on only to be left disappointed when they put it to their lips and do not receive the experience they were expecting. Though they may seem similar, vapes are not designed to produce the billowing, thick smoke that is produced from a joint, blunt or bong. However, this doesn’t mean that it is not working! As long as your dry herb vaporizer is heating your herbs to the correct temperature any cannabinoids and terpenes in your plant will still evaporate to be inhaled. Also, you’ll enjoy vaping much more if you take draw small breaths from your the mouthpiece. Your method of taking a hit should be more similar to siping a drink from a straw than ripping a bong. Big breaths can have the unwanted effect of drawing large amounts of cool air into the oven at once which will cool down the herbs in your oven. 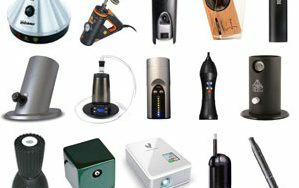 So there you have it; 5 questions you should ask yourself every time you’re choosing a vaporizer. There is no overall best model; only the best model for you. I advise to do your own research and try a few models out before parting with any cash.